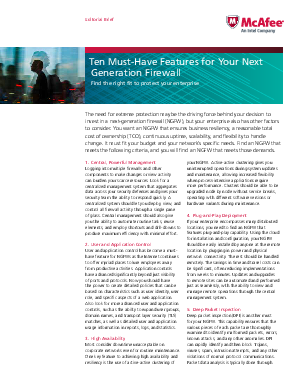 The need for extreme protection may be the driving force behind your decision to invest in a next-generation firewall (NGFW), but your enterprise also has other factors to consider. You want an NGFW that ensures business resiliency, a reasonable total cost of ownership (TCO), continuous uptime, scalability, and flexibility to handle change. It must fit your budget and your network’s specific needs.